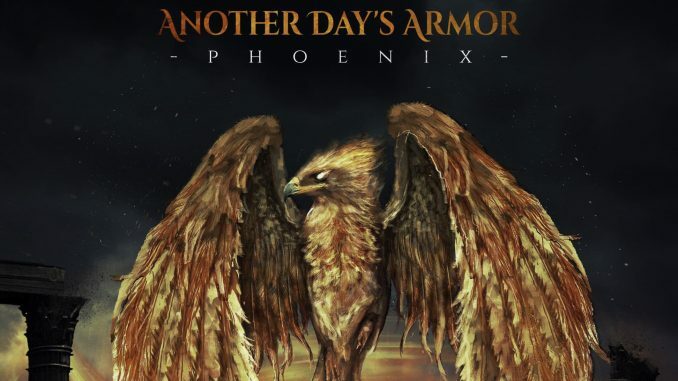 AltMetal band Another Day’s Armor isn’t just a band, they are a movement for the future of rock. Their new EP Phoenix shows that they take their rock seriously and are moving it up the charts. Having released two single/music videos from the EP “Death Investing” and “Won’t Stop Me” the music world is excited about Another Day’s Armor brand of rock n roll. All In: Was the song “Won’t Stop Me” created for the EP ‘Phoenix’ or was it the other way around? The song’s title seems to really support the meaning of what a Phoenix represents? Nick Palma: When Logan came in and wrote lyrics for everything, a lot of the lyrical content had to do with overcoming obstacles in life which fit perfectly considering what we went through during the process of this EP. When it came time to decide on a title for the EP, I remember thinking about the lyric “You’ve found the phoenix burning” in that song and I just knew Phoenix was the perfect fit. The two complement each other perfectly. All In: Lyrically it feels like it is making a point about who ADA is and what they are working towards? Logan Manganelli: So, this was actually the first song I wrote when I joined the band. Basically, I wrote it with the intentions of showing people no matter how many times I failed I continued to work and keep moving forward in life. No matter how many stops or obstacles there have been or will be I won’t give up and prove to the people who doubted me that I will become successful in music. All In: Having used the dirt racing bikes in the video – are you all riders? racers? Nick Palma: No, none of us are actually. We just wanted to add something to the video that represented youthfulness and would catch the eye during the performance shots. We found a cool location to shoot and the idea for the dirt bikes came from Ryan and our director Alex from Blackwolf Imaging. So, we got a couple of friends who ride to do their thing during the takes and it came out really cool. All In: Overall ‘Phoenix’ is a significant piece of your journey as a band, isn’t it? Nick Palma: “Phoenix” is the most significant piece of our journey so far. We had two singles out before this but they were with our old vocalist and it’s not that we’re not proud of those songs, we just have such a connection to the ones on this EP. I think a big factor as to why we’re so proud of it is what we went through to finally release it. The order of how everything came together for this EP was actually very unconventional. We went through a vocalist change when we were more than halfway done recording the EP. So, there was a period of time where we honestly weren’t sure if these songs would ever see the light of day. Luckily, we found Logan very quickly and he wrote lyrics almost instantly to all the songs. After hearing our new singer doing these songs justice it just lit a fire under us for this project again. Between the member change and empty promises from the industry here and there, it took about a year and a half to put out from when the music was written. But we pushed through everything because we knew we had something special and all five of us were so proud of the finished product. In terms of the music choices, when I first brought the demos I had written to the rest of the band, I was just writing the music that I wanted to hear. I had no idea if anyone else would like them besides me. But thankfully they did and once everyone starts adding their own spin on things the songs just became larger than life. We didn’t want to be restricted to one genre or subgenre or anything like that. As long as things flowed musically, we just took an idea and ran with it. This is just the start of our journey. We are the Phoenix in this situation, and we’re stronger than ever. All In: A strong lead out of the 2019 block already with a video and EP – shows are being booked – where are you as a band, driving the force of ADA to this year? Nick Palma: On to bigger and better things. We have another music video in the planning stages already and we will be going on our first tour/ festival run in March so keep an eye out for those dates to be announced soon. Our goal is for this EP to reach as many ears as possible and to have a full-length album hopefully written and recorded within the year.